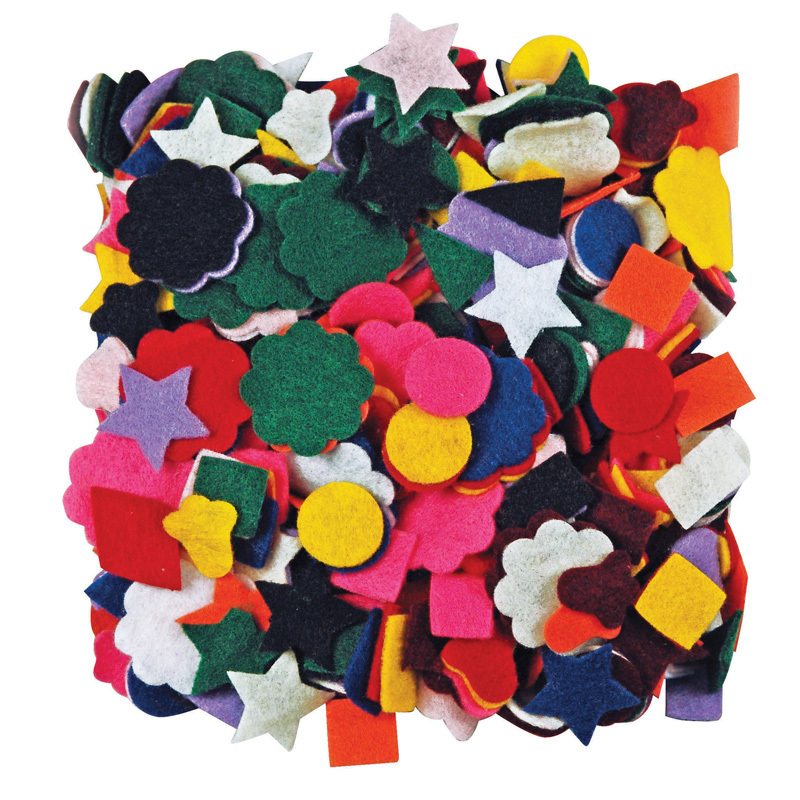 The (3 Pk) Felt Shapes 500 Per Pk can be found in our Felt product category within the Arts & Crafts. 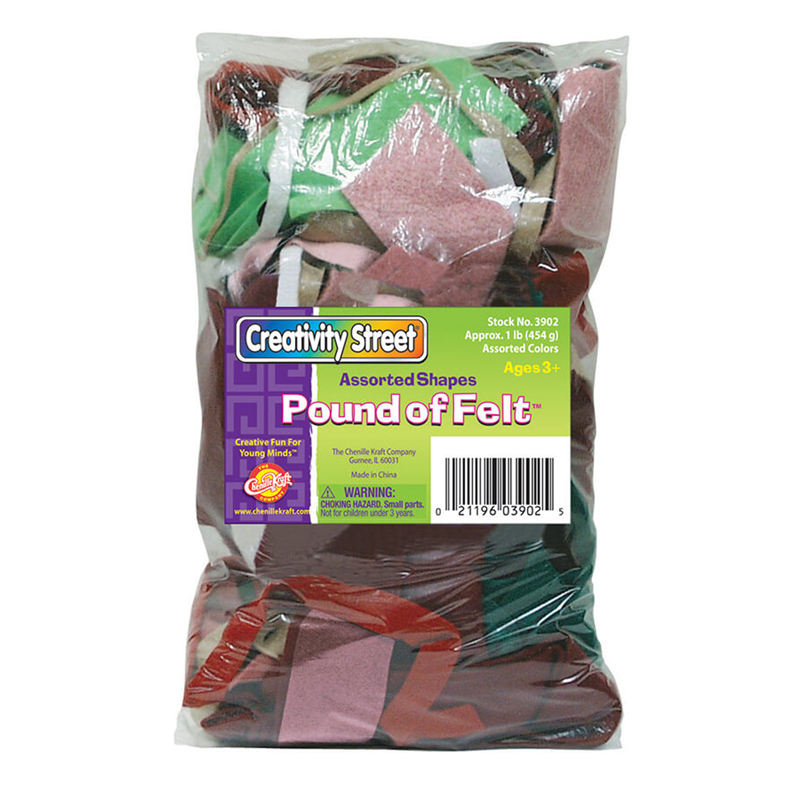 Each bag contains a full pound of multi-colored felt in assorted sizes and shapes. 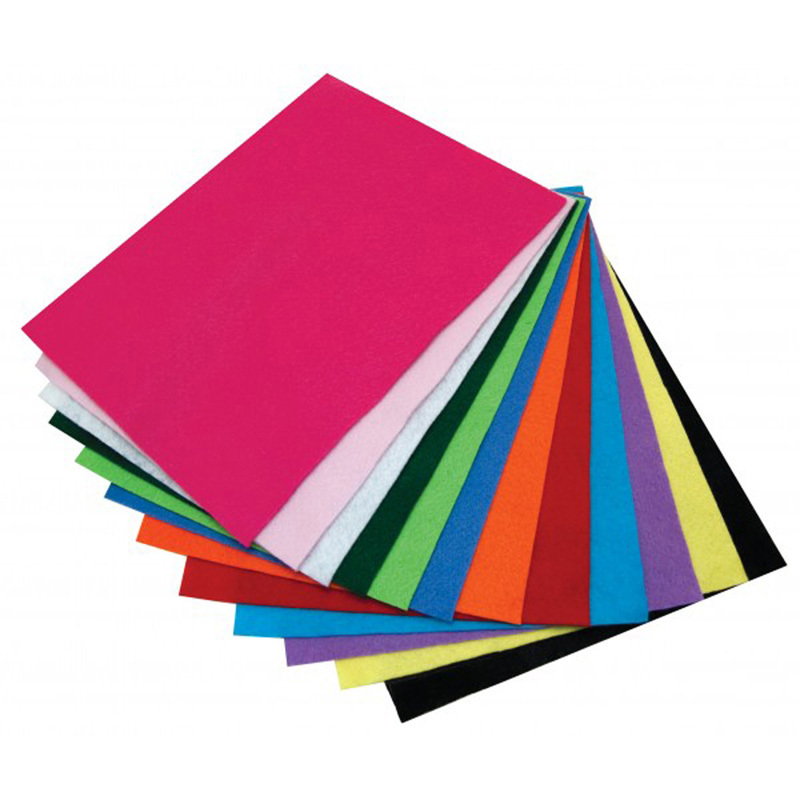 Great for use as is, or can be cut to fit specific craft needs. Bundle includes 2 bags.